Ok, so I know I mentioned that this book has a fast pace, but damn did I burn right through it. It’s not especially long, and Buckell wastes no time moving from one high-octane scene to the next. I wasn’t joking when I said that it’s the best Bond movie I’ve read in years; the action builds with the same sort of relentless attention that you’d expect from a Hollywood blockbuster. If this book were made into a movie, I’d be both unsurprised and first in line to watch it. I’d be a little worried that whoever made it might cut down on the obvious moments of racial profiling and racially charged interactions in a misguided attempt to pretty up the book’s honesty, but that has more to do with the movie industry than with the book. The protagonist of the book, Prudence “Roo” Jones, is a retired intelligence operative, formerly of the Caribbean Intelligence Group, and Buckell milks the “retired agent getting back in the saddle” angle for all it’s worth without seeming to go too far. Better yet, Buckell delivers it all in the appropriate wrapping of conspiratorial spy games, revenge, and megalomaniacal villainy. This book doesn’t so much subvert the expected spy-thriller plot as deliver an excellently constructed version of it. It saves most of its subversion for the race and background of the main protagonist, and the politics of the setting. Speaking of which, I’m fascinated by the near-future setting that Buckell has created, and his vision of a federation of Caribbean states. The background he’s established is rich with potential, and I loved reading what amounted to the creation story of the federation; the miniature war over territorial rights to Aves Island, and the resulting political structures, felt wonderfully appropriate. It all struck me as eminently plausible, a natural outgrowth of modern Caribbean politics put through the crucible of solidarity. Are you excited enough to read this yet? I hope so. I don’t have much else to say that wouldn’t spoil things for you, so I’ll leave it there for now. Except for this *SPOILER*: Wow, that speargun scene. Roo is scary. 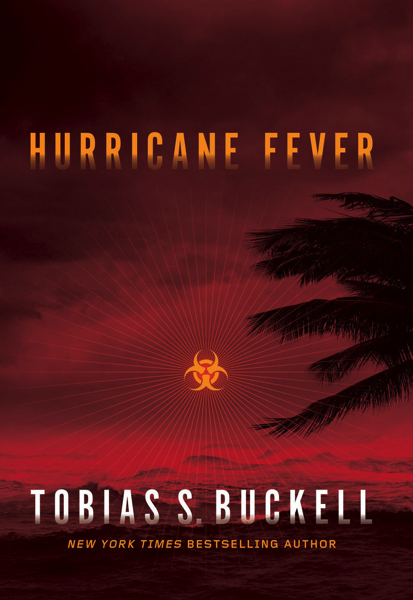 This entry was posted in Books and tagged action, Big Idea, Caribbean, Hurricane Fever, James Bond, Prudence Jones, race, revenge, Roo, Scalzi, Spy fiction, thriller, Tobias Buckell. Bookmark the permalink.